WILLIAMS MEDIA Founder and Chairman Mark Williams. The RECOW events will include site visits. RECOW events will be held in 9 key markets. WILLIAMS MEDIA have been receiving strong interest from the Commercial, Hotel, Luxury Residential and New Projects sectors in the region for the first of their 2019 roundtable events. Speed dating round tables for the ASEAN real estate community to network, showcase and seek interest in their real estate projects or service offerings including purchase, sale, financing and construction. Real estate communities are given a platform for engagement and collaboration through WILLIAMS MEDIA's RECOW events. The Jakarta 27 - 28 Feb and Singapore 10 - 11 March events will host a strong and diverse group of real estate owners, hotel operators, developers, agents, equity investors, financiers, insurers, architects and consultants - all leaders throughout the ASEAN region. The events are designed to facilitate a connection between industry representatives where like-minded participants are brought together in an easy and accessible format. The goal is to provide a setting for essential conversations, collaborations, knowledge transfers, capital cross border referrals, marketing and transactions. Source: WILLIAMS MEDIA. 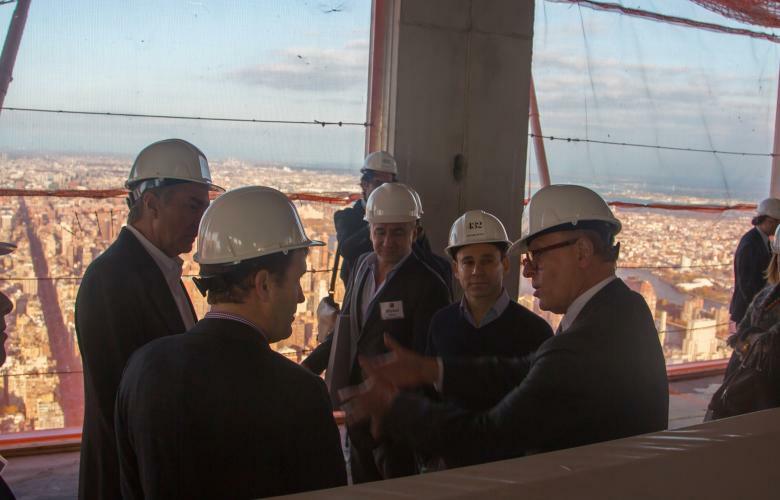 432 Park Ave New York Site Tour - WILLIAMS MEDIA will host ASEAN RECOW events in 2019. Real estate roundtables are the main focus of the event. "The roundtables are speed dating for the ASEAN real estate community and provide opportunities for all participants to showcase and seek interest in their real estate or service offerings," says WILLIAMS MEDIA. Site tours of key real estate projects, as well as visits to members' offices, hosted by WILLIAMS MEDIA partners, are also offered to round table attendees. Panel discussion sessions are also curated and ideal for participants to hear what's happening in many markets throughout the ASEAN region from local experts, while the site tours are the perfect opportunity for RECOW members and sponsors to showcase their real estate projects or services by personally inviting leading property participants on a behind-the-scenes tour. Round table attendance is $500 USD and Sponsorship options for RECOW events are also available. To book your seat at the table or request the RECOW Event booklet with more information, email Chris Heydon Head of International Marketing for WILLIAMS MEDIA via the contact details below.